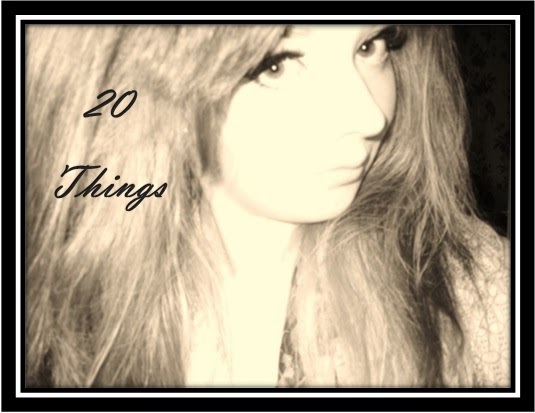 Traditional with even the most modern of blogs, here comes the 20 things about me post! I have tried to make this as entertaining as possible so as not to bore you all to tears, so here goes nothing. #1. I love tacky home ware, my latest addition is an ornamental pug which I got for Christmas. #2. My grandma is still convinced I go to school, and every time I visit asks me how school is going and if I have any homework, I find it both endearing and slightly insulting. #3. As you will find out pending an upcoming post I am a Cinephile. #5. Until a few years ago I never embraced my naturally ginger locks courtesy of a lot of jealous ladies I went to school with. #6. I talk to my Mum at least once a day and my current flat is literally 10 minutes from my parents house. #7. The first sweet I ever got was a Kit-Kat biscuit. #9. I love body art and have a total of four tattoos at the moment. #10. I am a major advocate of learning from mistakes, I rarely listen to what looking back is fairly sound advice! #11. My favourite time of the month is when all of my magazines are out to buy, it's the little things in life really! #12. My favourite thing to drink is Dr. Pepper...it's becoming a bit of a problem actually! #13. The best thing to wear on a night out for me is a play-suit, especially my Aztec Urban Outfitters one! #15. I love to run and aim this year to clear more time to take part in more charity runs. #16. My greatest fear is sharks, although one of my greatest loves is swimming. #17. In my recent years I have come to appreciate the woes and struggles of Disney villains, everyone is driven by something! #18. I love to sing (something a lot of people don't know in my life) but haven't sung in public since I was 12. #19. My career goal is to own an events planning company but my dream is to become a novelist. #20. I am a master at procrastinating, but somehow always get things done! So there it is, 20 things about me you may not have known before, do you have any quirks you'd like to share? 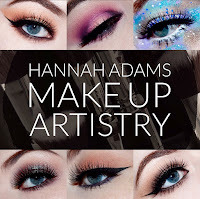 Drop me a comment or get me on Twitter! Haha getting a bunch of your regular magazines is one of lifes perks, I completely agree! Just bought all of my faves today! Can't wait to have a quiet evening to have a browse!